Week 52: Christmas Desserts (not pudding) - Food, Drink, Photography, and other things. Since it is Christmas, there has been a lot of unhealthy (but very tasty) foods being eaten. We made (and ate) 3 different desserts, which I will describe here, and not a single Christmas Pudding in sight. 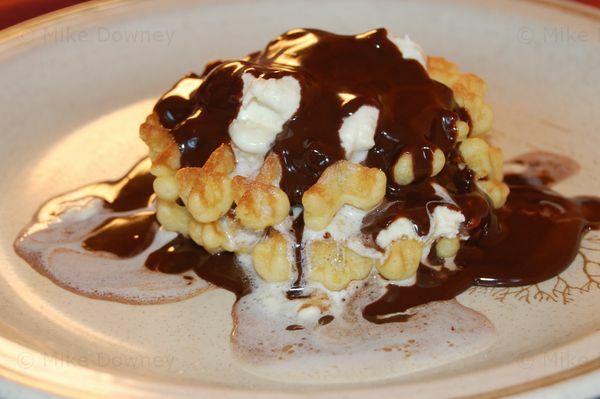 For breakfast on Christmas Day, we had waffles with fresh cream and ganache. This was accompanied by the traditional bucks fizz, only we made a red bucks fizz using sparkling rose and an orange and raspberry juice. The next two desserts were larger which we shared when we went to visit friends and family. Pear Syllabub. The pears were peeled and sliced and poached in a sweet dessert wine. The cake was a simple microwave sponge cake. The syllabub itself was creme fraiche, double cream, icing sugar, the wine from the poached pears, and the juice and zest of 1 lemon, all beaten together. 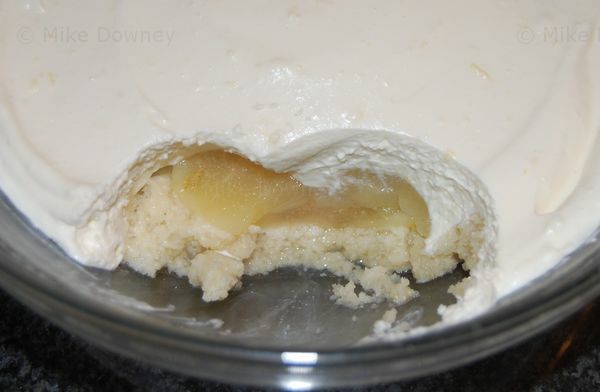 We layered the sponge, pears and cream mixture in a bowl and put it in the fridge overnight. 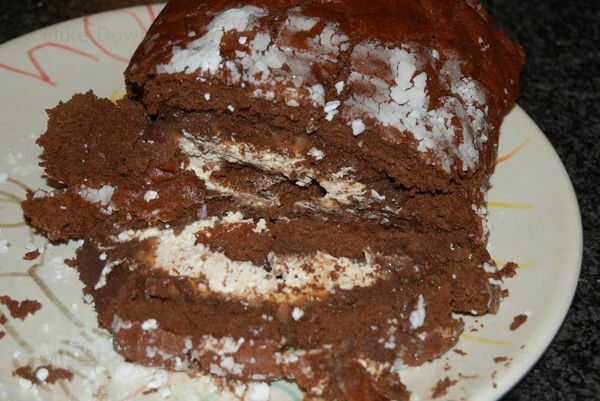 The roulade recipe was from the Daily Mail 'Weekend' magazine but was similar to a recipe on Delia's website.